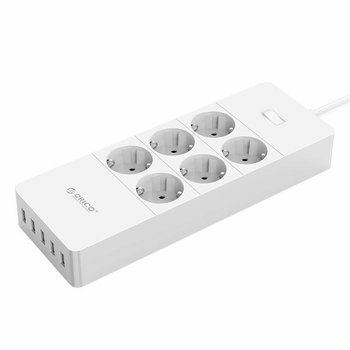 Organize your socket with this heat-resistant protector. 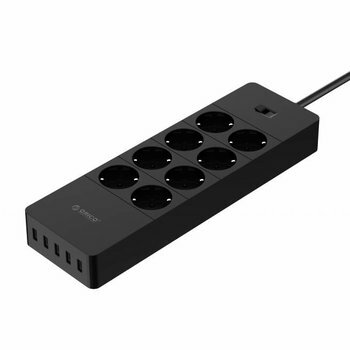 Provides a dust-free power strip and a safe and quiet environment for yourself, your children and / or pets. Organize your socket with this heat-resistant protector. 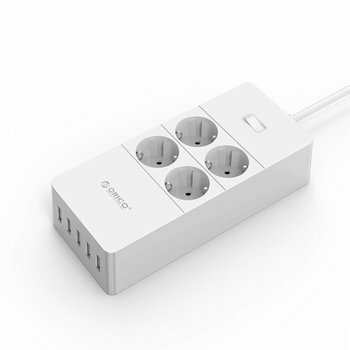 Provides a dust-free power strip and a safe and quiet environment for yourself, your children and / or pets. 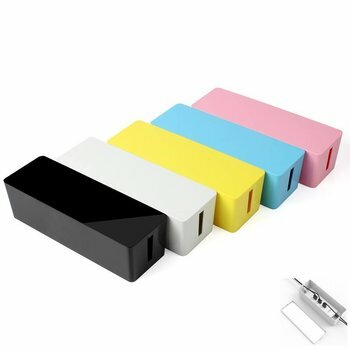 Including smartphone holder! 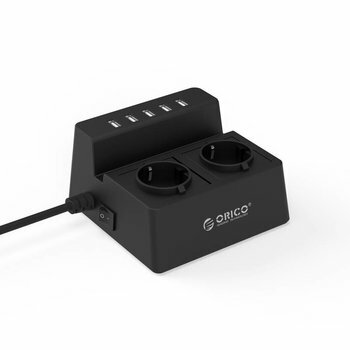 Easily extend power sockets with four earthed 230 V connections and 4 additional 5 V USB charging ports thanks to this nicely designed socket from Orico. 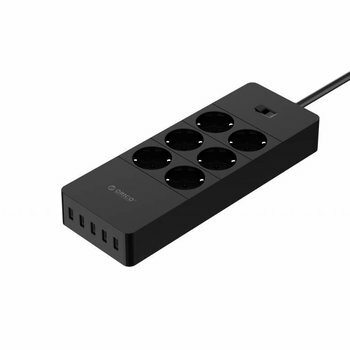 The safe charging of all your devices is made possible by the socket with 4 sockets and 5 USB charging points. 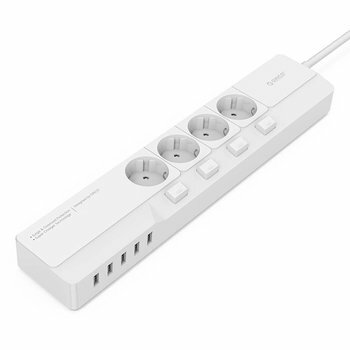 The power strip has a nominal capacity of 4000W (250V, 16A). 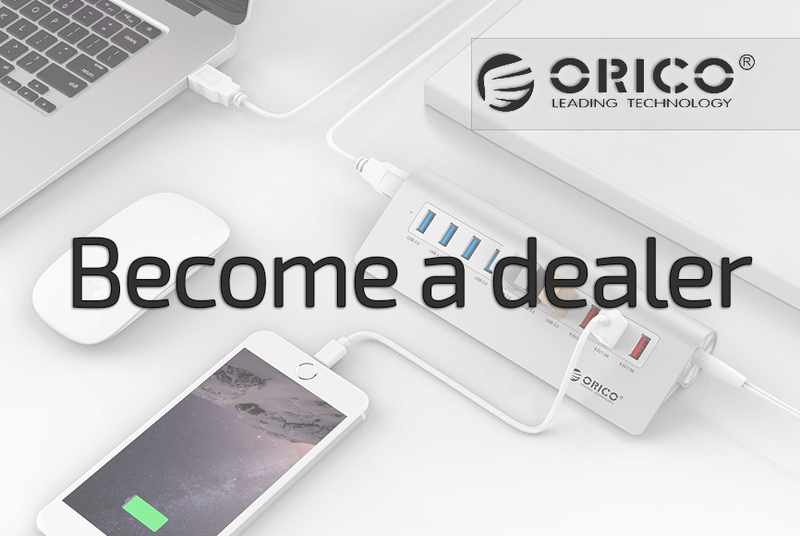 Fast and safe (5V) charging devices with the versatile Orico power strip with 2 sockets and 5 USB charging ports. 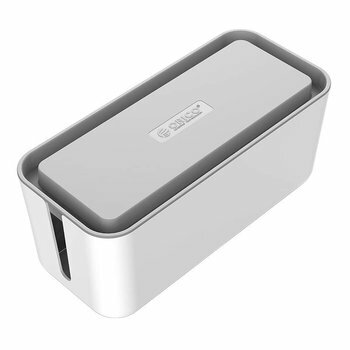 The socket has a nominal capacity of 2500W (250V, 10A). 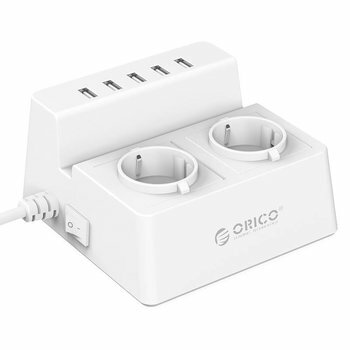 Stylish plug-in box from Orico with 4 sockets, each with an on / off switch. 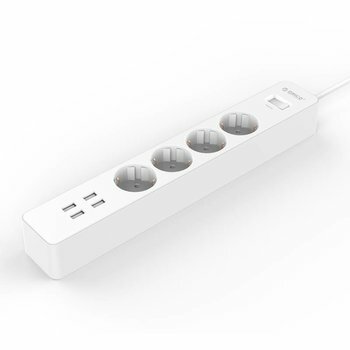 Equipped with 4 sockets and 5 USB charging ports. With surge protection. Rated power: 4000W.